While founded back in 1965, TIU only launched their English-track program in 2014. After five years, it has already established a diverse student community. With students from over 60 different countries, it was only natural for TIU to become a place for international spirits to flourish - there is no shortage of culture on campus. From Halloween and Tanabata to game nights and calligraphy seminars, there is never a dull moment on and around our the classrooms. One of our most famous events is the yearly International Fair, where students set up food and culture booths and all proceeds are donated to charity. With a sprawling presence of multinational culture, Campus 1 of TIU will make for an outstanding MUN conference this year. The TIU campus is situated near Kasumigaseki station, two stops away from Kawagoe station. Many TIU students begin their lives in Japan residing in its local dorms, turning it into a melting pot of different cultures coinciding along with the locals. Rest assured, it is a very safe and comfortable environment and fellow students would be delighted to show newcomers in and around town. 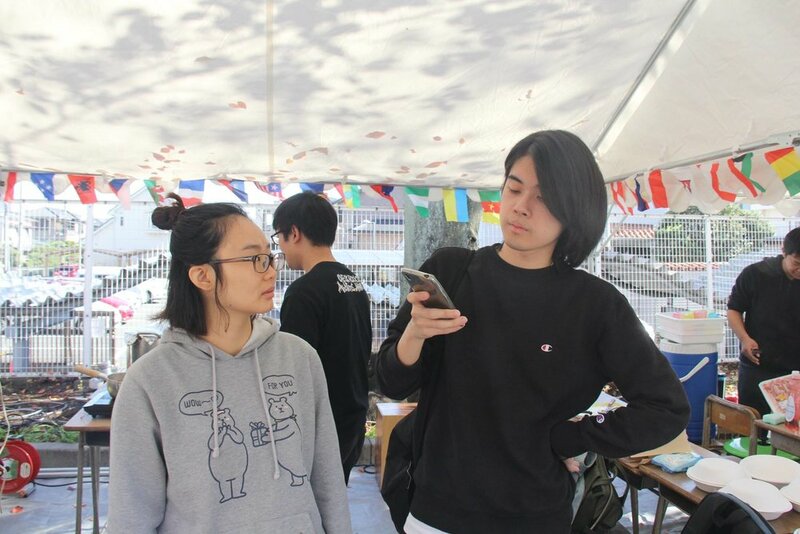 Unlike many Model United Nations circles in Japan and around the world, Tokyo International University Model United Nations Club is an official representative of TIU and the English Track Program as a varsity sport club. We first started as a circle for students majored in International Relations and Business Economics to come together after school and learn more about the operations of the United Nations. After members of the club began participating in national conferences, the leaders saw this as an opportunity to advance towards the club's true potential. After becoming an official TIU varsity club, members became extremely ambitious to showcase their diverse set of strengths to the world. 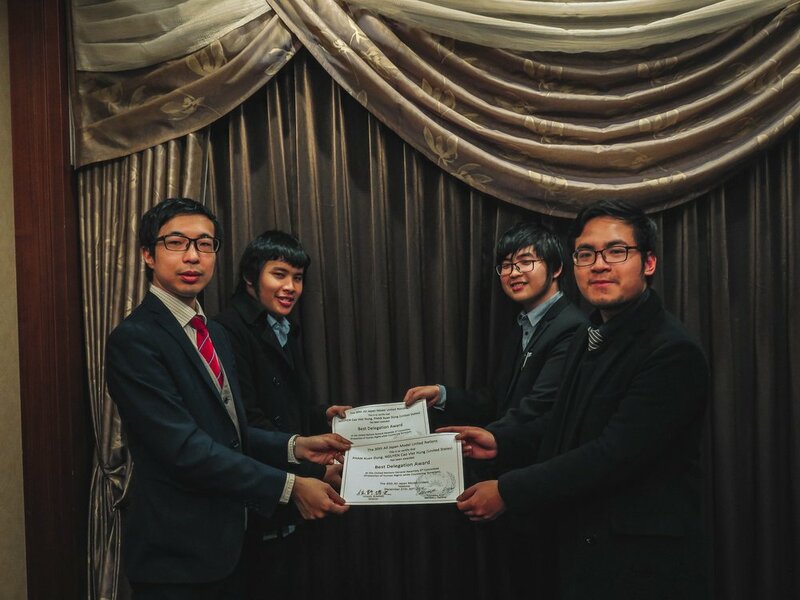 After more than 10 conferences in and outside of Japan which students of TIUMUN have attended in the past years, all of them awarded our members with various awards and recognition. Toward our own conference, the members of TIUMUN are looking forward to transforming these achievements into an exceptional event that would make Tokyo and TIU the next destination in Asia for MUN enthusiasts. 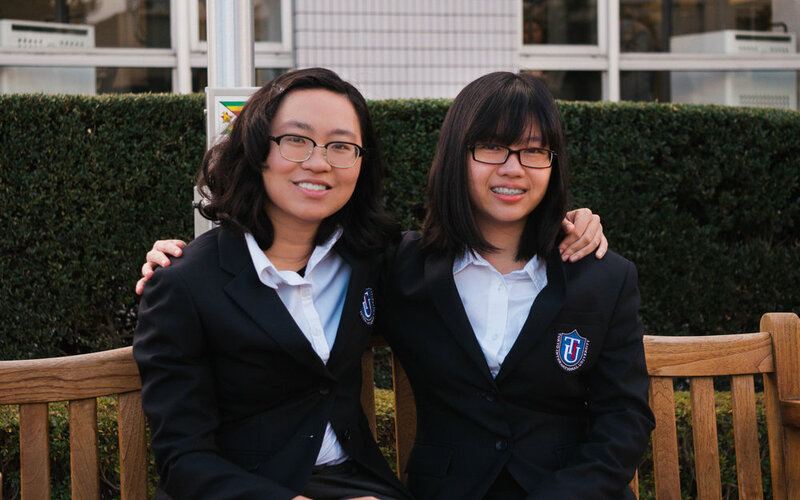 Our Model United Nations Club is not only a place where these brilliant students can engage in academic activities, it is also a second home for them. Members of TIUMUN devote their efforts to the club not just for self-development or the glory of recognition, but because they love what they are doing, as delegates, as friends, and as ambitious students stepping outside the comfort zones of their home countries. This is what makes them different. — Thomas Blackwood, Ph.D, Professor of Sociology, TIUMUN Advisor. — Wichuta Teeratanabodee, 2017-2018 President of TIUMUN . She is currently pursuing a master degree in Development Studies at Lund University, Sweden. — Bastian Harth, 2016-2017 President of TIUMUN. He recently finished his graduate study at the University of Sheffield. Understanding the excitement of having a diverse population at Tokyo International University, the TIUMUN team sees MUN@TIU as the conference to bring the different representatives of the world together. Not only can our participants engage in the debate and exchange ideas, but they can also form meaningful connections with other peers - an important social capital for their academic and professional endeavor in the future. One of the biggest challenge for all MUN conference is coming up with a distinctive but relevant topic that has not been sufficiently addressed. Going beyond customary grounded topics, MUN@TIU also seeks to cover issues that has yet to be addressed on the international level. We hope to bring to our conference not only the challenge of an addressing an unfamiliar issue but also the opportunity for our delegates to exercise their creativity in solving it. 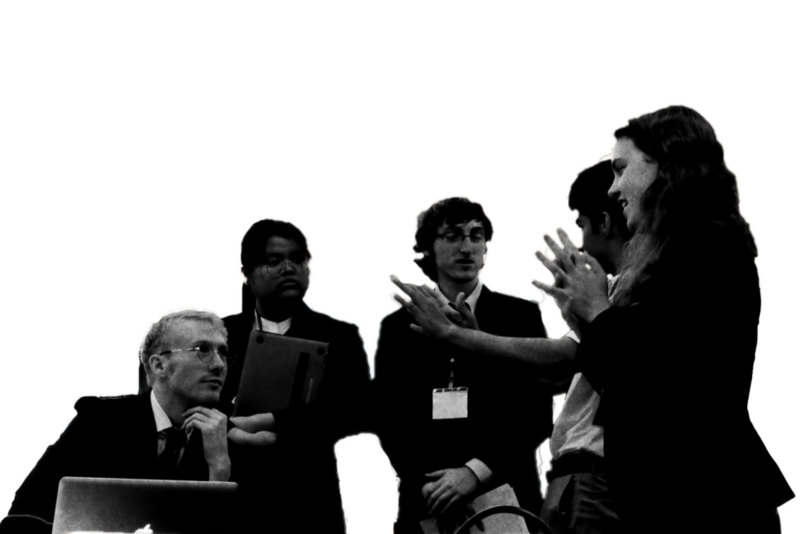 Hosted by an exceptional team, MUN@TIU is a conference that will keep growing and improving. At our conference, we work to ensure all participants can be comfortable during their interaction with fellow delegates, to overcome their fears and learn valuable knowledge as well as personal skills. Ultimately, TIUMUN will be combining the strengths of each and every member to ensure a conference of the highest standards and even more. Rest assured, we will not disappoint. Designed by Long Nguyen, TIUMUN Creative.